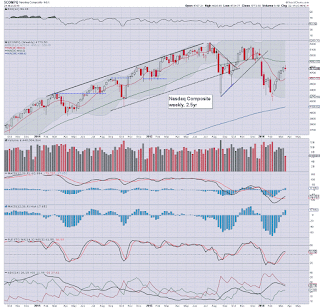 US equity indexes saw the first net weekly declines in six weeks, ranging from -2.0% (Trans), -0.7% (sp'500), to -0.5% (Nasdaq comp', Dow). 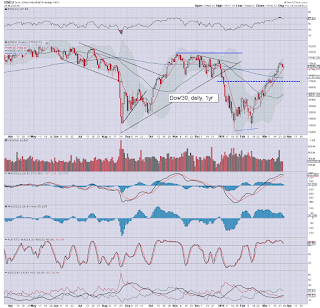 There is increasing probability that the wave from sp'1820 has maxed out at 2056. 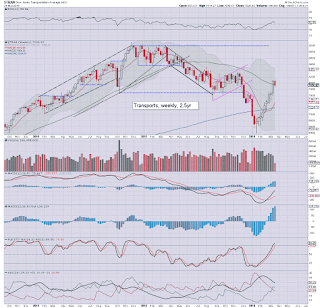 After 3-5 weeks of likely chop, a break into the 1700s looks due. 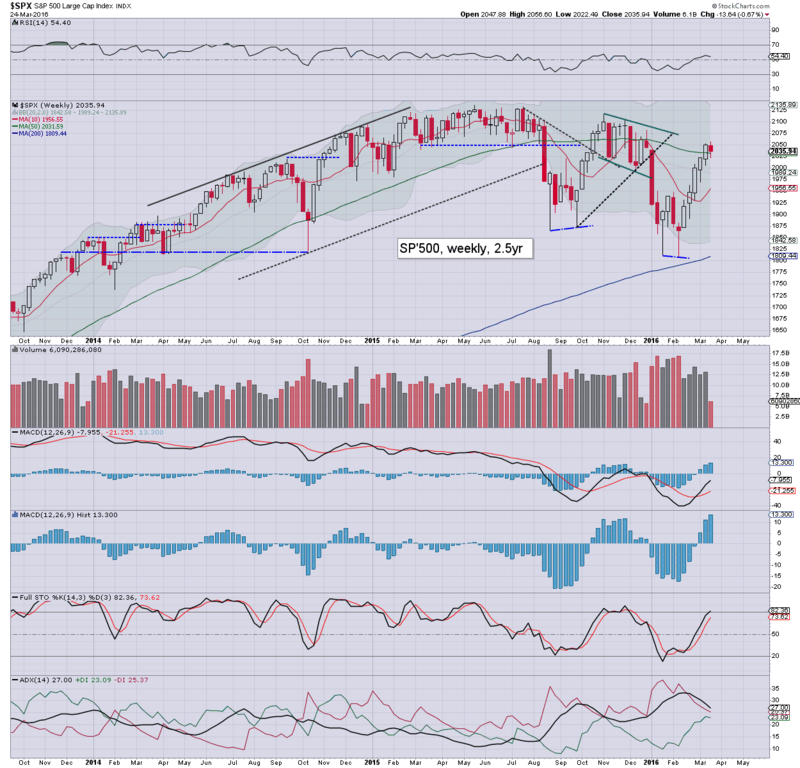 The sp'500 broke a new cycle high of 2056, but then cooled to 2022, settling -13pts (0.7%) at 2035. Underlying MACD (blue bar histogram) cycle ticked higher for a sixth week. It is notable that the upper weekly bollinger is starting to decline, and will likely be around the 2100 threshold in early April. 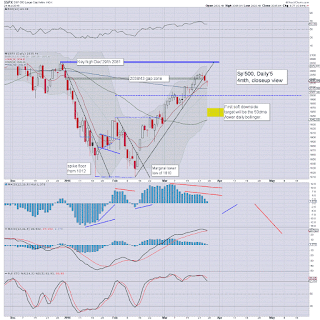 On no realistic outlook does sustained price action look viable above the late Dec' high of 2081. Best guess: an attempt next week by the bulls to break above the 2056 high, but failing, with broad downside to the 50dma/lower daily bollinger - in the 1960/50s, by early April. 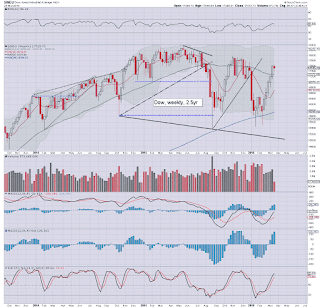 A break of the Feb'11th low of 1810 looks out of range until late April/early May. 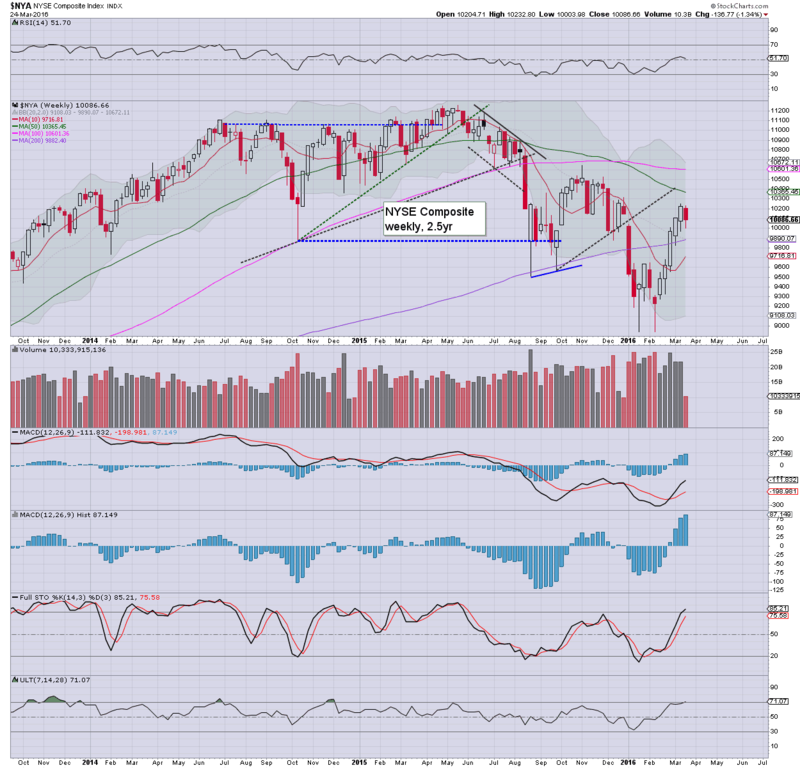 In theory, a H/S scenario offers the 1650/1550 zone by late June. The tech' saw a minor net weekly decline of -0.5%. 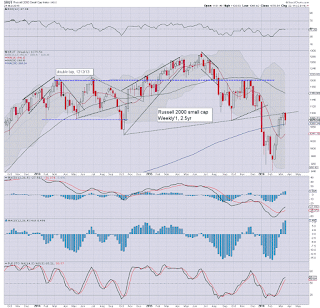 It is interesting that the closing weekly candle was a doji, often a provisional sign of a trend change. There remains huge resistance at the 4900 threshold, and it is increasingly probable that we now have another marginal lower high of 4835. 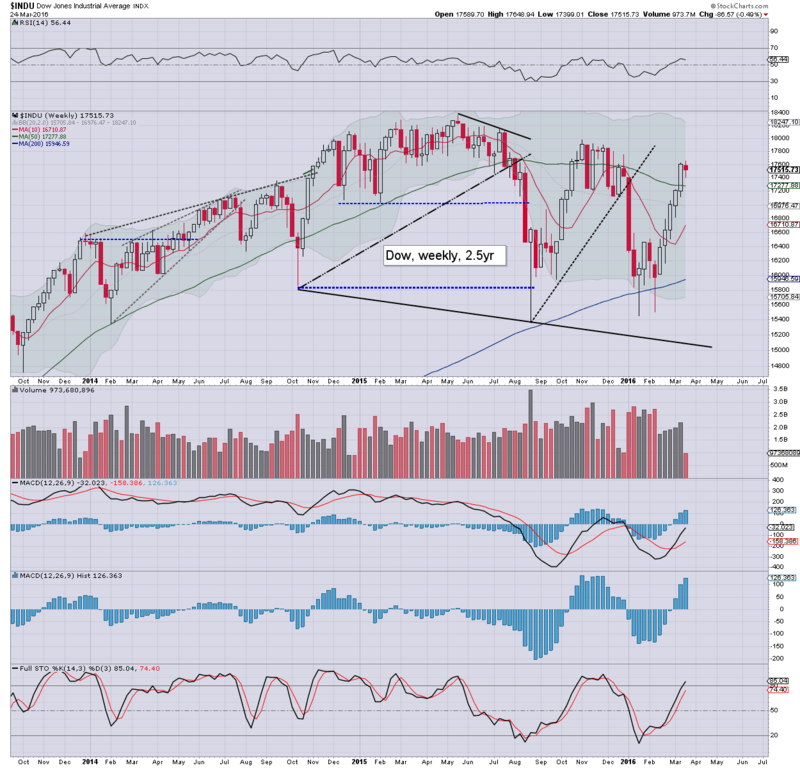 The mighty Dow broke a new multi-month high of 17648, but settled net lower by -0.5% @ 17515. Underlying MACD ticked higher for a sixth week. Even if we do have a key high, it will be at least 4-5 weeks before the next viable bearish cross... taking us into May. It should be clear to those equity bears seeking a break of the Aug'2015 low of 15370, that there isn't any realistic opportunity until May.. perhaps June - at which time the UK will be voting on whether to remain within the EU. 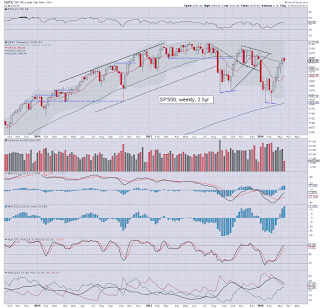 The master index is starting to look problematic, with a net weekly decline of a somewhat significant -1.3% @ 10086. The 10K threshold looks highly vulnerable next week. 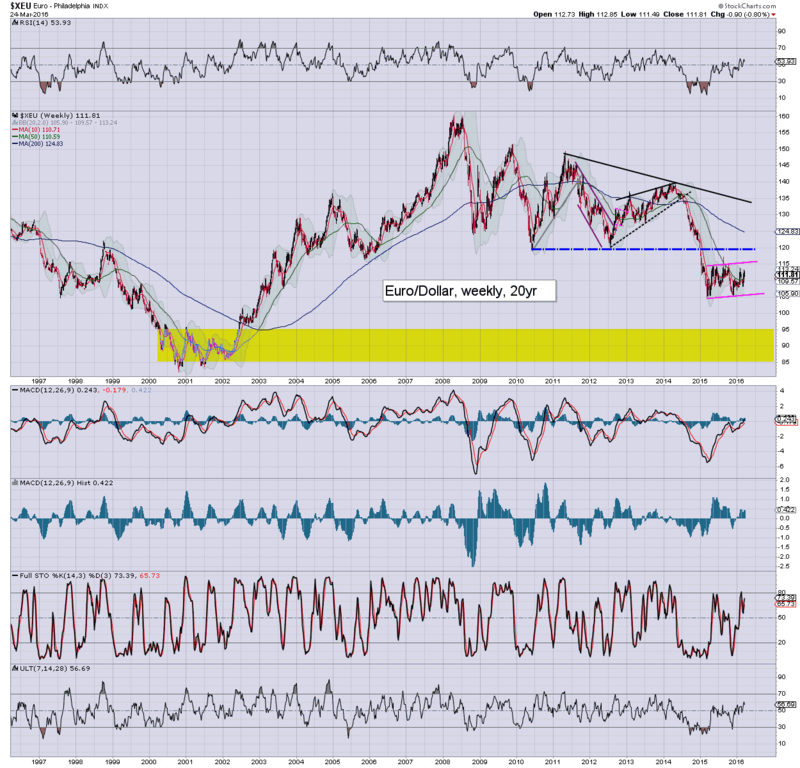 With renewed equity upset into the summer, first core downside target is the 8K threshold.. which is a clear 20% lower. 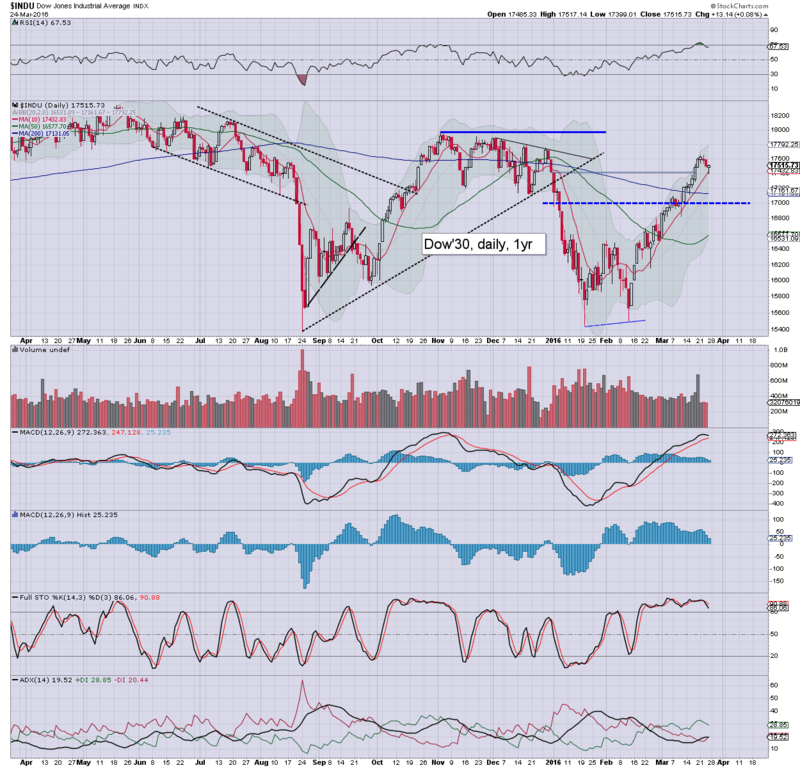 The second market leader - R2K, broke a new cycle high of 1103, but settled -2.0% @ 1079. Considering how important the 1100 threshold is, it is indeed notable that the R2K has seen a rather strong rejection from such natural resistance. First key downside is the 1K psy' level, with a broader downside target of 875/850 into the summer. 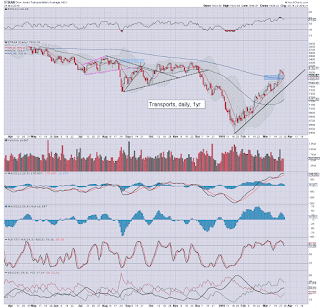 The 'old leader' - Transports, broke a new cycle high of 8114, but then saw swift cooling, settling -1.8% @ 7926. Sustained price action >8K will remain very difficult. The upper weekly bollinger will be around 8000 by mid April, and that will merely add to multiple aspects of resistance. 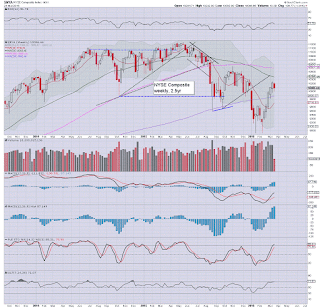 It was a week when all indexes broke new multi-month highs, but then saw some distinct cooling into the early weekly close. The US - and most other world equity markets, maintain a series of lower highs.. and lower lows. 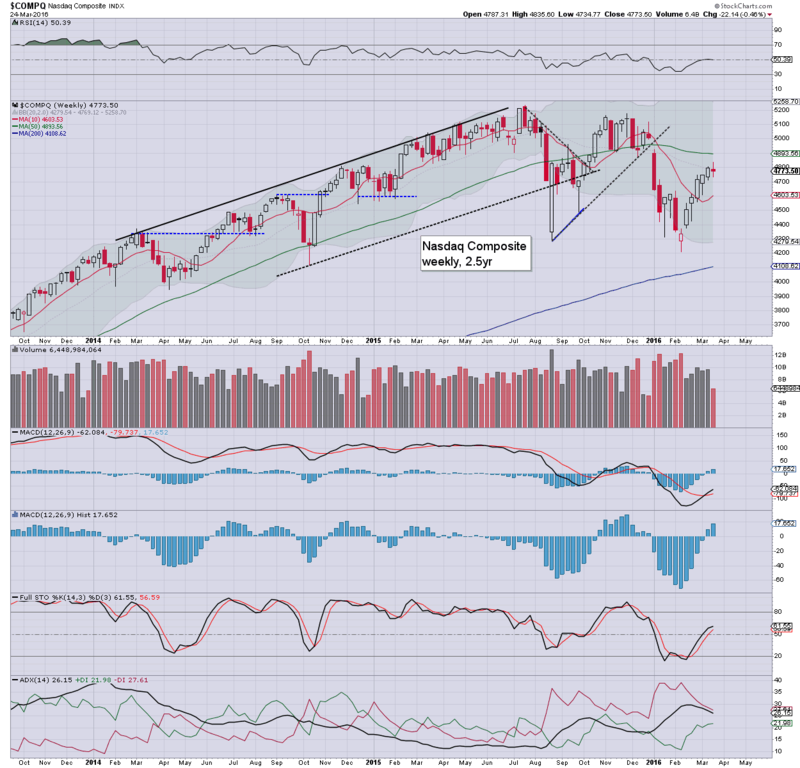 Without question, until we see sustained action back in the sp'2100s, with Dow 18k, and R2K >1150, the bears are still in control.. as they have been since spring/summer 2015. Best guess... a few weeks of chop into mid April, with the first serious attempt to take out the Jan/Feb' lows in late April/early May. 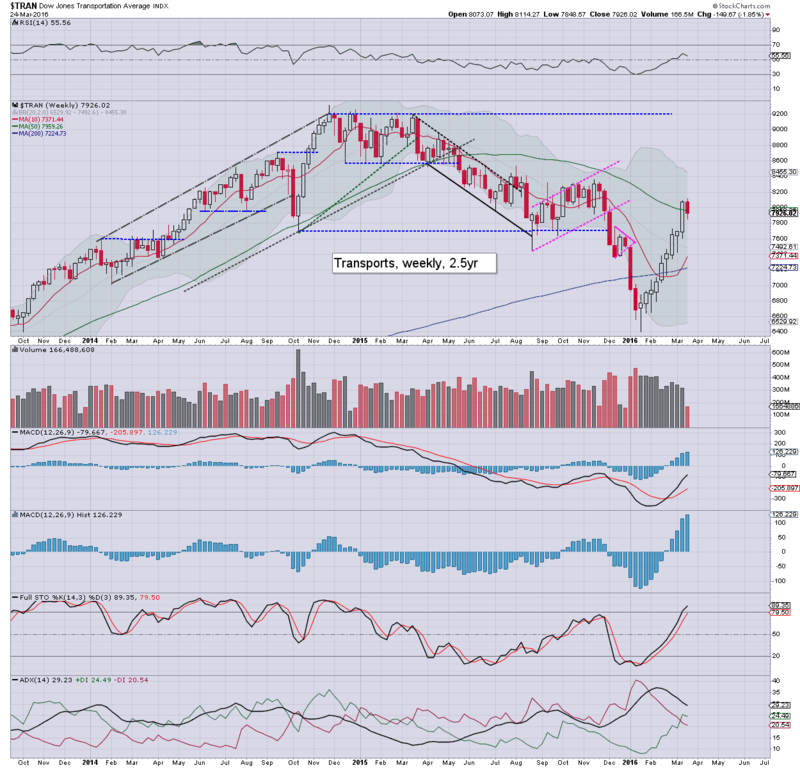 I am still anticipating the sp'1600s, along with another VIX explosion into the 40s.. if not higher. Most EU markets are CLOSED on Easter Monday, and thus the US session will likely be somewhat muted. *there are a sprinkling of fed officials next week. Most notable, Yellen is due at the 'economic club' in NYC on Tuesday. She will likely present a speech, with a sit down conversation with the host. Mr Market will be watching, as clown finance TV will give it live coverage. It was a moderately negative week for the Euro, which settled -0.8% against the USD, to 111.81. 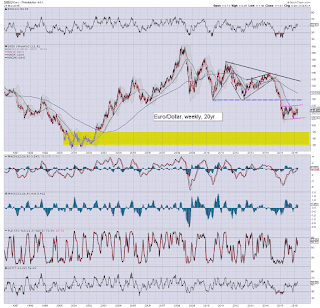 There is strong resistance in the 113s, and it would seem that with a looming 'BREXIT', the Euro will take out the March 2015 low of the 104s. From there.. its open air to the 95/85 zone. re: Euro. There is massive resistance around the 1.20 threshold. Price structure is a clear bear flag that now stretches across a full year. First downside target is the 105/104 zone. Any price action in the 103s would bode for a straight run to the 95/85 zone. 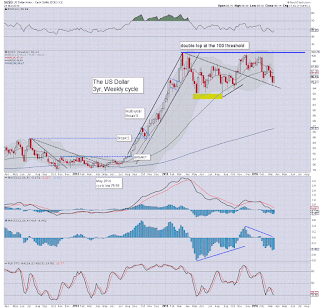 re: USD... broadly choppy since spring 2015, with a clear double top from natural resistance of DXY 100. Current price structure is offering a back test of the old declining resistance. An eventual break >100 seems extremely probable, from there.. first target are the 120s. 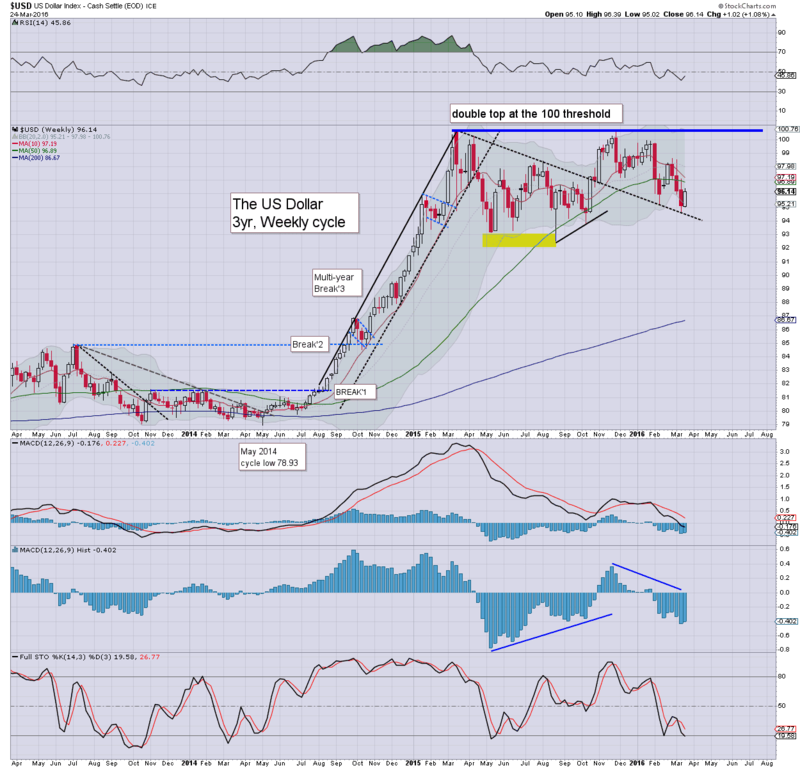 The implications of such a Euro decline and USD surge should be clear to most traders. 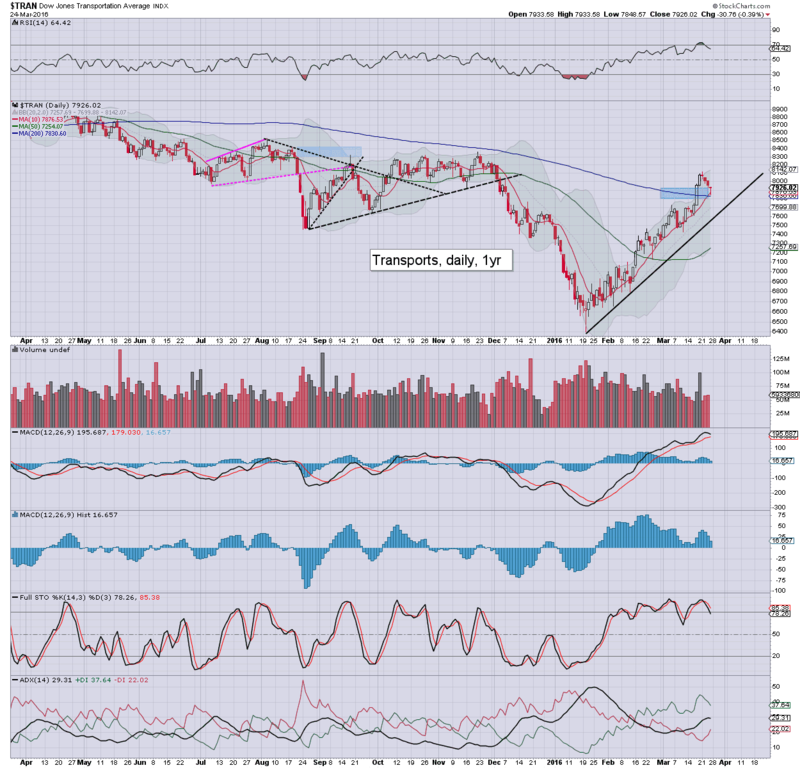 In particular, Oil - and related energy stocks would likely be obliterated. The DISQUS comments system is still having problems. I am still able to receive and reply to comments, but they won't likely appear in a given post. This issue is not specific to these pages, with MANY blogs/sites affected across the world. I'd imagine it will be fixed within a few days. Suffice to add... a naturally quiet day of pre-holiday chop. There was a distinct latter day 'algo-bot upside melt' into the close, with a fair few indexes closing marginally positive. 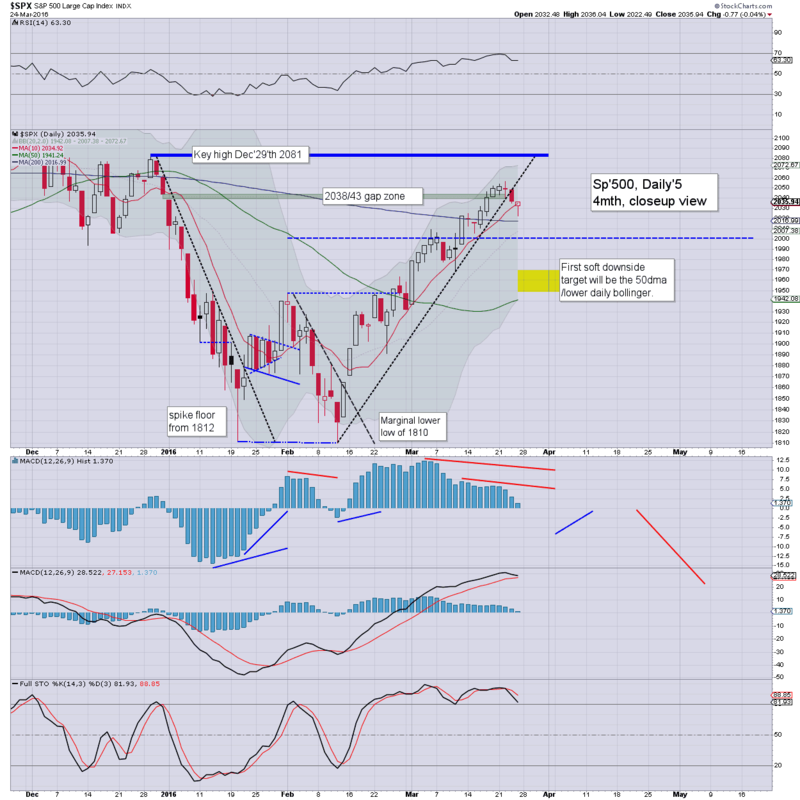 Considering the many aspects of overhead resistance, and the broader weekly/monthly cycles, it seems increasingly probable that this week saw a key mid term top put in.